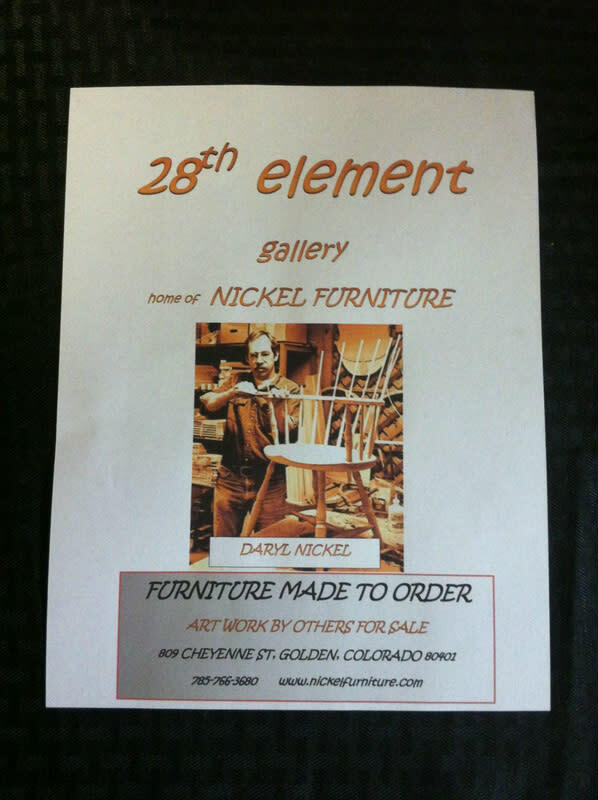 28th Element/Nickel Custom Design Furniture Gallery is locally owned and operated. 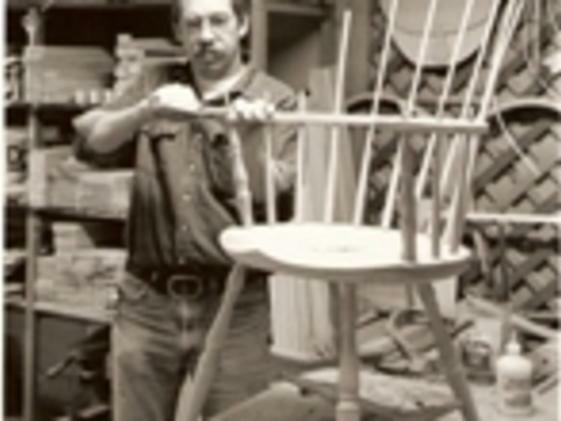 Artist Daryl Nickel creates handmade furniture using great attention to detail, high quality design and excellent materials. 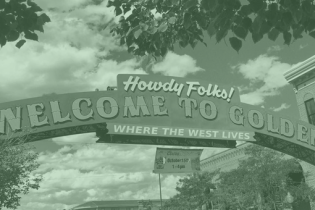 28th Element/Nickel Custom design Furniture produces custom pieces and full-scale restorations in addition to handling simple repairs. 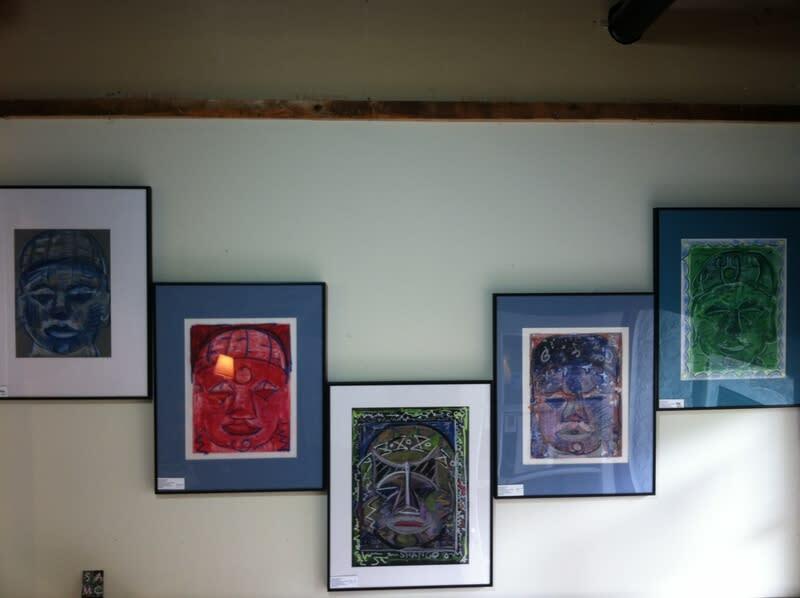 Original artwork by local artists is also featured at the Gallery, located in the historic Rock Flour Mill. 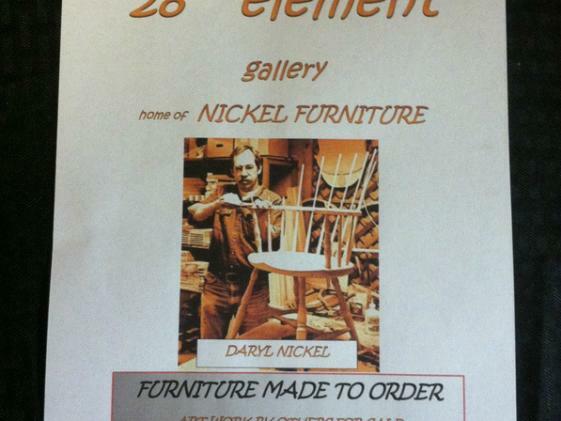 Contact 28th Element/ Nickel Custom Design Furniture Gallery to set appointment for custom pieces. Daryl Nickel also works on restoration and historic preservation projects.